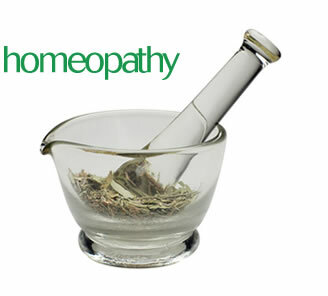 To obtain the best results of homeopathic treatment, one should resort to homeopathy in the early stage of the disease. Due to ignorance and lack of awareness in general public about the homeopathic System of Treatment and its effectiveness in many diseases ranging from Common Cold to Cancer, patients approach homeopathy very late and expect miraculous results. Unfortunately by this time the disease process has advances to an irreversible stage and homeopathy can offer little, to the otherwise curable disorders. However timely given homeopathic treatment could be a blessing to the ailing humanity. Homeopathy is a system of healing based on the theory of "Similia Similibus Curenter" like [diseases] is to be cured by like [remedies]. In view of many errors and misinterpretations that exist concerning Homeopathy, one major falsity should be avoided at all costs: "We are not dealing with a law of similarity in the form of a generally applicable rule of physics or natural phenomenon on which Homoeopathy purports to be based, but rather with a simple instruction on how to act or with a practical guideline for procedures, in order to "Cure in a Mild, Prompt, Safe and Durable manner". The homoeopathic medicines are prepared from a wide range of natural sources. Over 75% of the medicines has their origin from the vegetable kingdom. Rests of the Homoeopathic Medicines are prepared from chemicals, minerals, animal kingdom, nosodes and some body secretion such as the hormones. The method of medicine preparation in homoeopathy, called as Potentisation, utilizes a medicinal substance obtained from initial substances found in the plant, animal or any other kingdom through a specific preparation /manufacturing procedure. A very small portion of any medicinal substance, as one part, is mixed with 99 parts of alcohol or distilled water. Some powerful strokes are give to this mixture of about 100 drops/ml. It makes so called 1c potency. Now, out of this 100 drops, one drop is taken and mixed with 99 drops of alcohol, again to undergo the process of vigorous strokes, making the potency 2c. The process is continued higher level up to 30c, 200c, 1000c, 10000c, 50000c, 100000c. Although this method makes use of a continuous dilution or reduction in proportional quantity of medicinal substance in its different vehicle. It is the experience of homoeopaths through out the world that at least within certain limits the effects of the preparations thus obtained don't depend on their degree of dilution. In fact practice has shown that these drugs posses an inherent "potency" or effectiveness which increases their suitability as homoeopathic drugs. From this one can realize that there is infinitesimal original drug substance in the higher potency medicines. Actually it crosses the Avogadro's limit. There is no detectable material in the potency higher than 24. What is left behind is the power or energy of the medicine. One may call it dynamic power, which is capable to induce definite changes in the body system to bring about the healing process. Symptoms disappear in reverse order of appearance. Cure occurs from the more vital organs to the less vital and from the interior of the body toward the skin. Cure occurs from top of the body downward. Homeopathy: Working fast or slow? 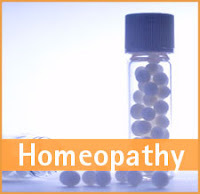 Homeopathy is fast acting in acute conditions such as infections, fever, diarrhea, etc. The chronic and old disease such as psoriasis take a long time to treat hence homeopathy has been labeled as slow acting. One may say that homeopathy may be slower than the effect of steroids. 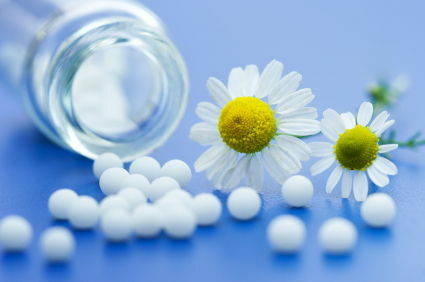 One must know that homeopathy is faster in the treatment of conditions where modern system of medicine is unable to satisfy the patients such as allergy, asthma, eczema, migraine, psoriasis, Hypertension, Diabetes, Orthopedic Disorders etc. It is a myth that Homoeopathy is useful only for the chronic conditions and and has no role for acute ailments. Homeopathy is a great alternative medicine for acute diseases. In fact, almost 50% of practice of any professional Homeopath consists of acute ailments varying form cough-cold-fever to otitis media, pneumonia, tonsillitis, hepatitis, sinusitis, etc. in India. Homoeopathy: Increases diseases or symptoms? The common belief is that Homoeopathic medicines sometimes cause initial aggravation of symptoms. This however, is not totally true. The fact is that homoeopathic medicines first create an artificial similar symptomatology which in turn fight with the original symptomatology paving the way for cure. Patients with chronic diseases who had been taking palliative (allopathic) treatment including steroids, invariably report long drawn aggravation which is due to the withdrawal effect of the medicines. That is why it is always suggested to withdraw these medicines gradually after getting improvement of the case with homoeopathic medicines. In chronic cases where there is long standing suppression of different symptoms, old symptoms tend to appear during the phase of recovery. This phenomenon is mostly found in chronic skin diseases and medicinal dependent disease like Hyper/Hypo functioning of Thyroid, Rheumatoid Arthritis and not every where. Homoeopathy treats the symptoms alone? Not exactly! In Homoeopathy equal importance is given to symptoms of the patient as well as clinical diagnosis of the disease. 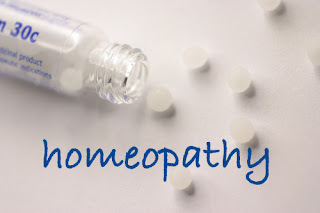 In Homoeopathy the clinical diagnosis is not the only basis for prescribing medicines but individual patients mental state, behavior, his/her food habits climatic changes, social economic conditions, color and even sometimes racial characteristics makes a difference in treating the patient homeopathically. That is why in two similar well diagnosed cases the homoeopathy medicine may not the same. Homeopathy can be safely taken without side effects or interactions with prescription drugs. However, you should consult your physician and a homeopath before you do so. 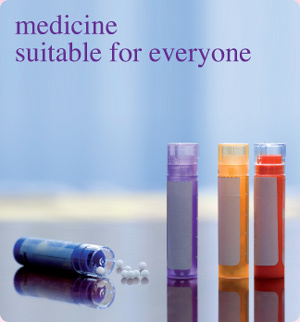 Dietary restrictions are required while taking homoeopathic medicines in case-to-case basis. Generally, coffee and camphor products are restricted due to their antidoting effect to the entire vegetable kingdom medicines. External applications containing camphor and canthradine hair oil also antidotes the effect of vegetable kingdom medicines. The latest research advices the diet restrictions according to the blood group of each patients in each disease paves a way for speedy recovery.